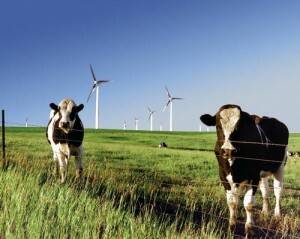 Spark Northwest helps agricultural producers and rural small businesses harvest the benefits of renewable energy. Learn more about using clean energy on your farm or small business through our program offerings below. If you are a farmer, agricultural producer or rural small business, we can help you with your own renewable energy or efficiency project! Through partnerships with USDA, Pierce County Conservation District, and the Washington Conservation Commission, we offer consultations, feasibility studies, and grant writing support services. Learn more here. Spark Northwest has partnered with the EPA and Tilth Producers of Washington to organize a series of farm tours to showcase the use of renewable energy on farms. Learn more here. Our Tribal Energy program has been very successful in bringing energy savings to those that need it the most. Whether swapping out “energy hog” refrigerators, helping a tribe create a renewable energy plan, or training staff at tribal housing offices, we have a proven track record of engaging with Native American tribes to foster energy independence and self-sufficiency. In partnership with USDA NRCS, Energy Trust of Oregon, and the Oregon Department of Energy, Spark Northwest assisted farmers with on-site renewable energy project development and feasibility analysis in the Willamette Valley and Central OR Coast. Learn more out the project activities here.